Of all the question marks surrounding the emerging crisis in North Korea, China seems to be the biggest. Why don’t the Chinese do more? Doesn’t China realize it would enhance its global prestige if it dealt with the issue once and for all? In fact, outsourcing the North Korean imbroglio to China has been the central U.S. policy almost since the problem began, embraced by Republicans and Democrats alike. And experts have come forward with no shortage of justifications for China’s failure to squeeze the regime of Kim Jong Un. Most of them miss the mark. For a while, a popular theory was that if China pressured North Korea, the regime could collapse, causing refugees to flow into China. But this ignores the massive amount of international aid that would also flow into China should this problem occur. Experts also argue that China just doesn’t have the influence it used to over North Korea. North Korea’s founder, Kim Il Sung, had a difficult relationship with Chairman Mao Zedong; his son, Kim Jong Il, ignored entreaties from China to embrace market-oriented reform. The current leader, Kim Jong Un, has ordered the execution of numerous officials believed to have been close to China, including his uncle and half brother. 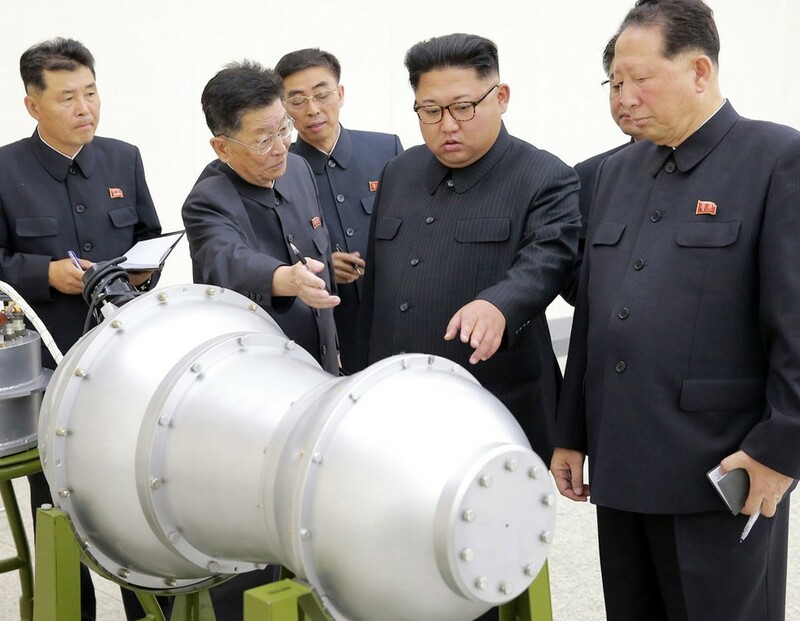 But, again, these arguments dodge the fact that 90 percent of North Korea’s trade — and almost all of its oil — passes through China, and that for decades China has done its best to water down U.N. sanctions on North Korea, ensuring that its economy stays afloat and, as a result, that its missile and nuclear weapons programs stay alive. Lately, there seems to be more optimism that China’s policymakers realize that continuing their support of North Korea hurts Beijing’s interests. Look, we’re told, South Korea has deployed the American THAAD missile defense system and is going to be able to buy American missiles with a larger payload. In addition, there are now calls in Japan to reconsider the country’s ban on the deployment of U.S. nuclear weapons on its soil. And many Chinese are fed up with North Korean belligerence, as well. The Financial Times recently reported that Chinese academics have been given more freedom to criticize North Korea than in the past. Henry Kissinger, the longtime go-between for China and the United States, has also declared he believes that the views of China’s leader, Xi Jinping, are evolving on the issue and that it’s only a question of time before the rest of China’s bureaucracy catches up. But I think it’s wise to remain skeptical, and here’s why: More than any other major continental power, China’s foreign policy serves its domestic policy. And China’s domestic policy, as the scholar Steve Tsang has noted, is laser focused on strengthening the rule of the Chinese Communist Party. Why does China continue to aid “the kidnappers”? For one, despite the increased criticism of North Korea permitted in the state-run press, a significant faction within the Communist Party continues to believe that China’s support of North Korea chips away at American strength and prestige. Undermining the United States within China and around Asia remains a central goal of the party, which sees itself as embattled by what it calls “hostile Western forces” — in other words, the United States. Second and possibly even more important, Chinese Communist officials have to be concerned about the ramifications inside China of a more aggressive stance on North Korea. If Beijing steps in and installs a more malleable leader to replace Kim, who is to say North Koreans would not revolt and turn their country into an Iraq or, perhaps even worse, a democracy? Party officials worry that a revolution in or the collapse of North Korea could set in play forces inside China that would shake the party’s rule. Here think of 1989 in Hungary, Poland and the rest of Eastern Europe and what the upheaval there stirred in the Soviet Union. In China, the USSR’s collapse is the most studied event in recent history, and Mikhail Gorbachev, who is cast as a hero in the West, is a goat in Beijing. A senior American official told me recently that he’s the most optimistic he’s been that China’s policy on North Korea is changing. I think he should, as President Ronald Reagan once advised, trust but verify.